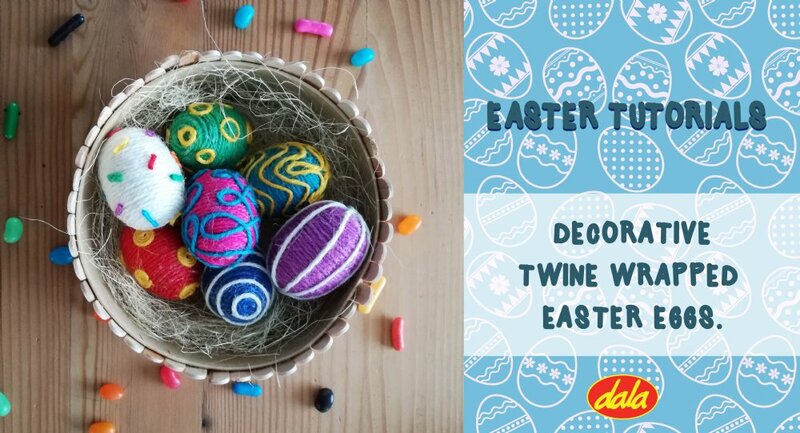 In this tutorial we show you how to create beautiful twine wrapped eggs using only 3 products! Choose a base colour to wrap your eggs in. 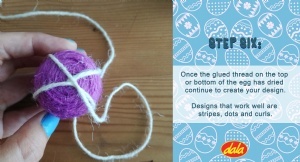 You will use a different colour to create your designs on top of this base layer. 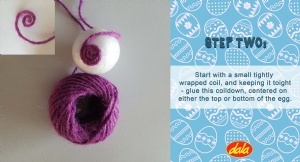 Start with a small tightly wrapped coil, and keeping it toight - glue this coildown, centered on either the top or bottom of the egg. 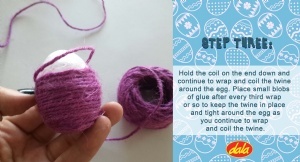 Hold the coil on the end down and continue to wrap and coil the twine around the egg. 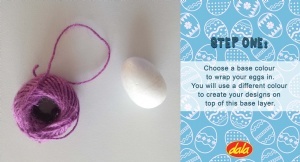 Place small blobs of glue after every third wrap or so to keep the twine in place and tight around the egg asyou continue to wrap and coil the twine. 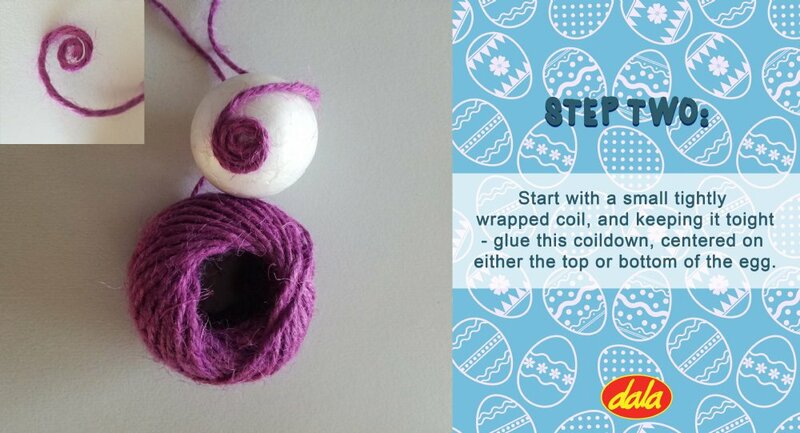 Continue coiling and gluing until your whole egg is covered tightly in twine. 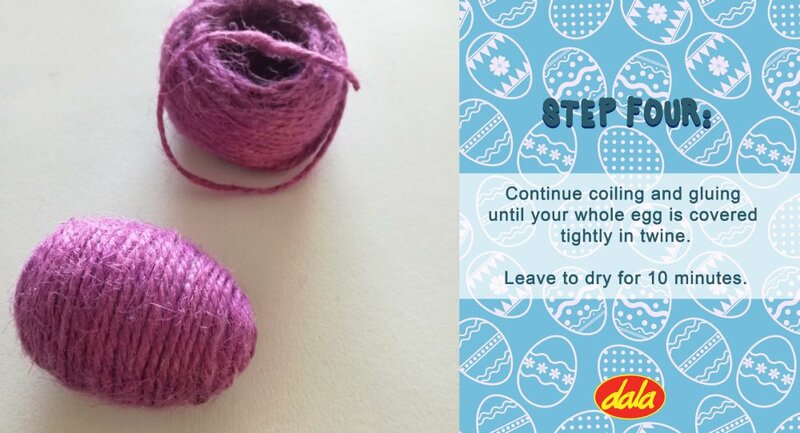 Leave to dry for 10 minutes. 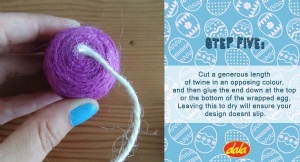 Cut a generous length of twine in an opposing colour, and then glue the end down at the top or the bottom of the wrapped egg. 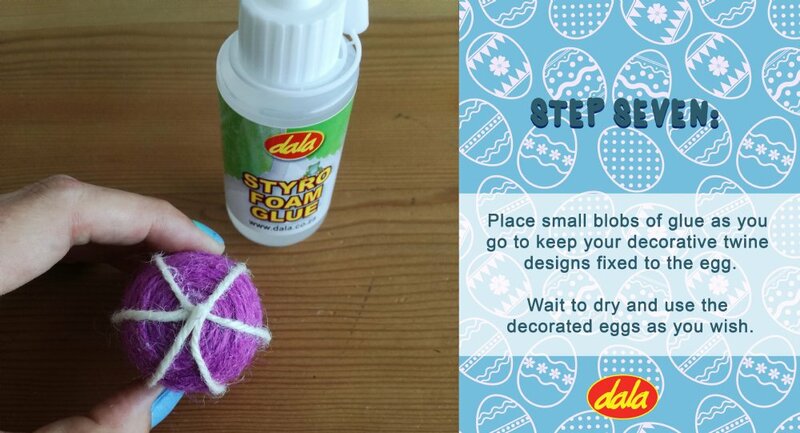 Leaving this to dry for a few minutes will ensure your design doesnt slip. 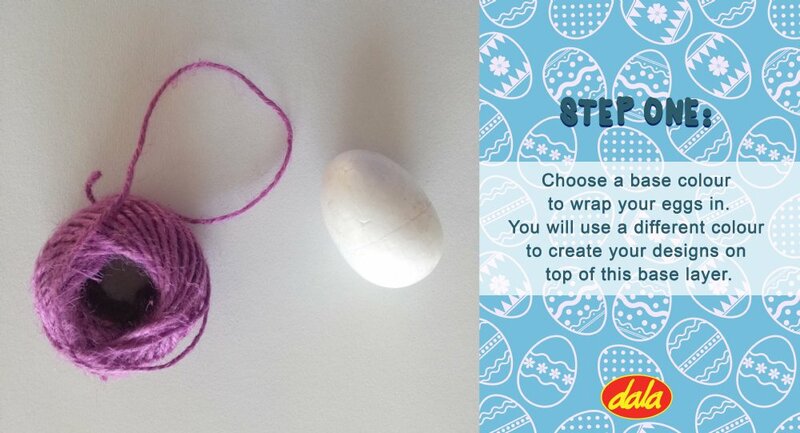 Once the glued thread on the top or bottom of the egg has dried continue to create your design. Designs that work well are stripes, dots and curls. 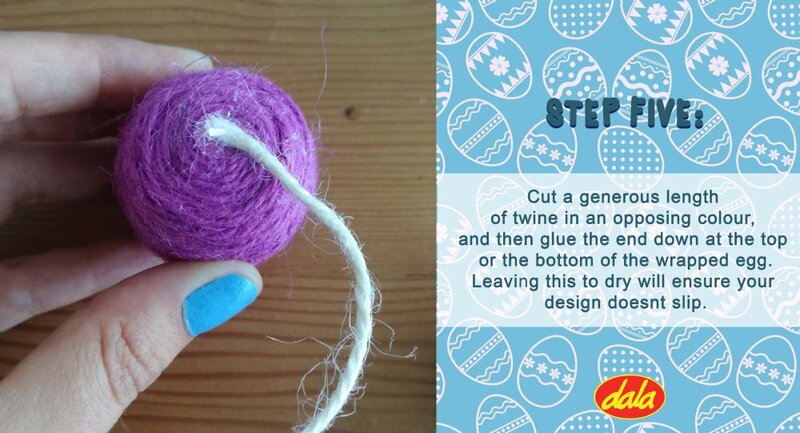 Place small blobs of glue as you go to keep your decorative twine designs fixed to the egg. 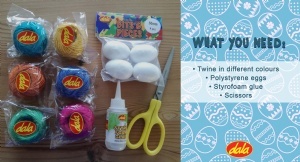 Wait to dry and use the decorated eggs as you wish. This item has 442 views.